POPs Goes the Easel! The blossoms are coming and so are the Artists. 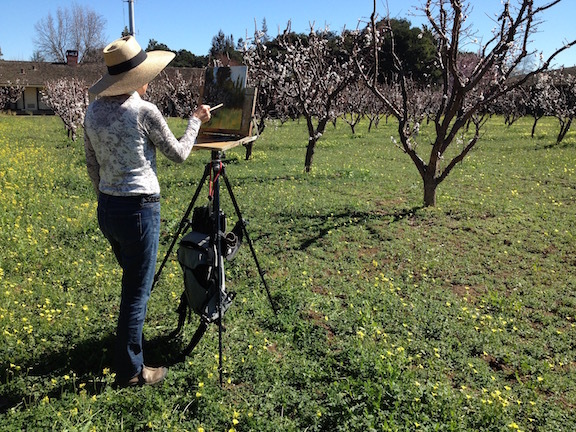 Artists from the Peninsula Outdoor Painters—a group known as POPs—will be out with their easels in Los Altos Heritage Orchard Park this spring to capture artistic views of the blossoms at one of the last remaining working apricot orchards in Silicon Valley. 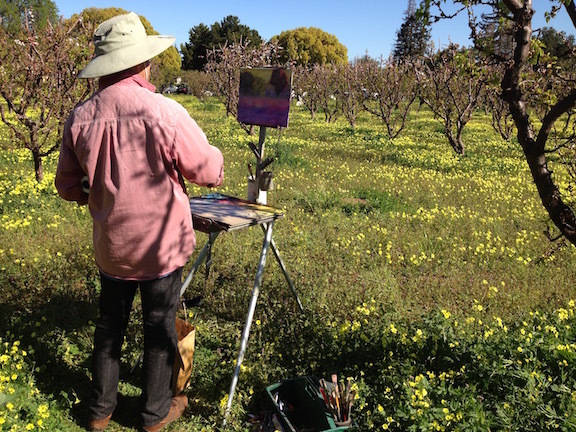 Locals who want to see the artists during their “paint out” will find them in and around the Los Altos Heritage Orchard Park from 10:00 a.m. through noon on Tuesday, March 1, and Tuesday, March 8, 2016. The painters are creating works for an upcoming exhibit. 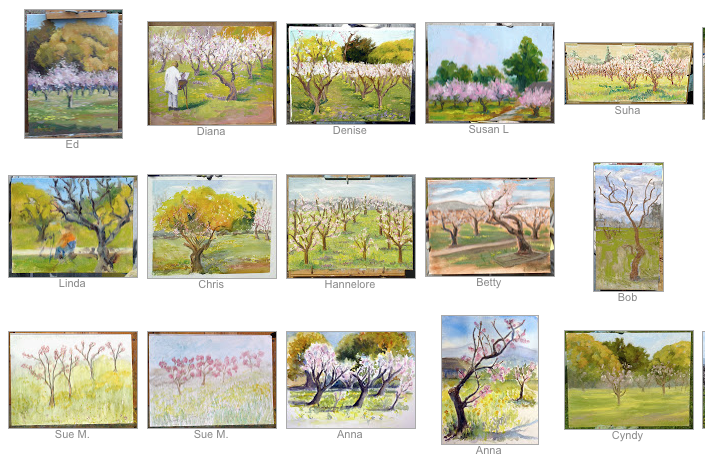 Weather permitting, it is easy for visitors to navigate the orchard’s paths behind City Hall and the Los Altos Library and all are encouraged to stop by and chat with the artists. Outdoor painting—called plein air—was popularized with the invention of the collapsible box easel in the 19th century. 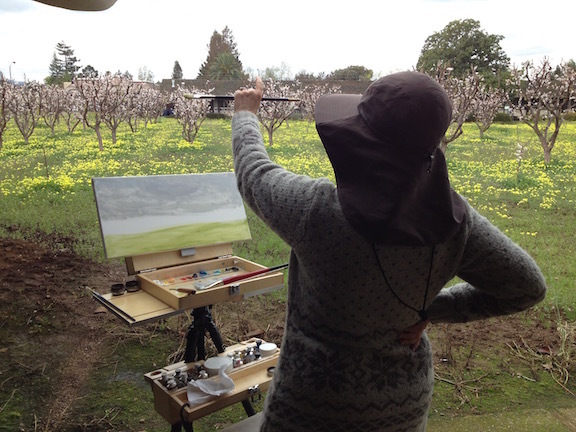 The Peninsula Outdoor Painters, founded in 1977, is one of a number of plein air groups in the region organized to capture on canvas the beauties of the San Francisco Bay Area. Los Altos Heritage Orchard Park has just a few acres of trees remaining from the original ten planted by grower Gilbert Smith in 1901. Preserved after Smith’s death in 1966, and the orchard was named a Historic Landmark by the Los Altos City Council, May 12, 1981. This is the orchard’s 115th birthday and its 35th anniversary as a City Historical Landmark. The Los Altos Heritage Orchard land site is also a registered landmark in Santa Clara County and a recognized historical site in the State of California. 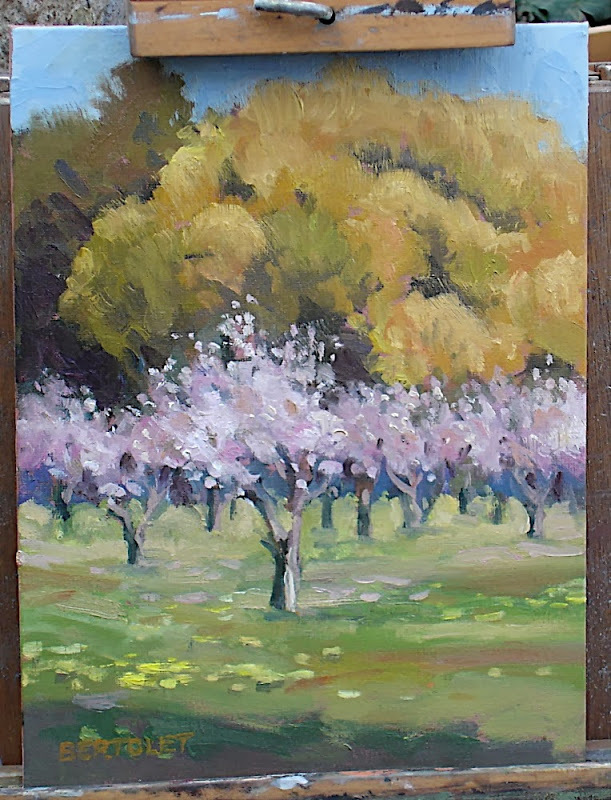 Peninsula Outdoor Painters for this repeat "paintout" event will be capturing spring at two iconic landmarks– the Los Altos Heritage Orchard Park in the Civic Center and at the Windmills at Golden Gate Park in San Francisco. Stroll by and take in the beauty of the blossoms.